The Volkswagen Golf is one of the UK’s top-selling cars – and with good reason. Drivers have bought and leased over 33 million of them since the range launched in the 1970s. Now in its seventh-generation, the Volkswagen Golf remains the car of choice for families across the country. Combining premium performance and ride comfort with top of the range safety features, the Volkswagen Golf is punchy and reliable. At AMT Leasing, we feature a range of Volkswagen Golf lease deals, from the performance specification Volkswagen Golf R to the popular Volkswagen GTD. Contact us today or take a look at our full VW lease range. With reliability as its core selling point, the Volkswagen Golf is the ultimate family hatchback. It’s simple, yet robust, modern yet uncompromised and a market leader compared to its alternatives. What makes the Golf endlessly popular is its practicality and exceptional German engineering. The new VW Golf also has a 1.5 litre turbo four-cylinder engine making for a smooth and refined drive. 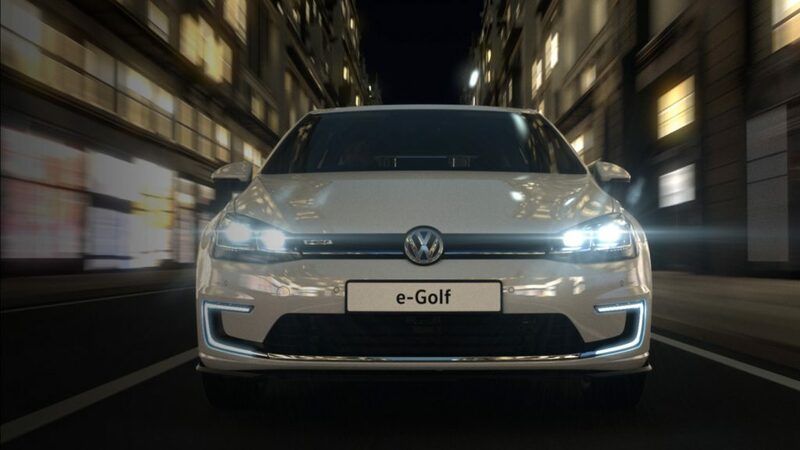 There are a range of Golfs to suit your taste; opt for the e-Golf if you’re seeking a modern car with zero emissions, or the GTI if you’re looking for something cool and stylish. Whichever you choose, you’re guaranteed to be satisfied with this brilliant all-rounder. The VW Golf utilises a minimalist yet confident design, with newly designed headlights and bumper, lighter body, new suspension and chassis delivering more grip on the road. The 1.5-litre turbo four-cylinder engine (also known as Evo by Volkswagen) offers rolling refinement which helps lessen the sound and vibrations for a smoother journey. The Golf GTI offers a pleasurable driving experience, with a top performance engine in which you can reach up to a speed of 246km/h with a 169 kW. The Golf R on the other hand, has a powerful 310 PS, greater torque and unparalleled acceleration levels to make it the fastest Golf. The VW Golf exudes comfort with ample space and high-quality interior materials. With new technology integrated throughout the car, such as the active info 12.3-inch display and smart gesture controls, the Golf truly is the perfect compact modern car. It’s available with a range of engines from petrol and diesel to hybrid and all-electric and you have plenty of options to suit your style - whether you want manual transmission or automatic, 3 door or 5 door, or estate or SV body styles. If you like the Volkswagen Golf, you may also like our deals on the Audi A3, SEAT Leon or BMW 1 series.